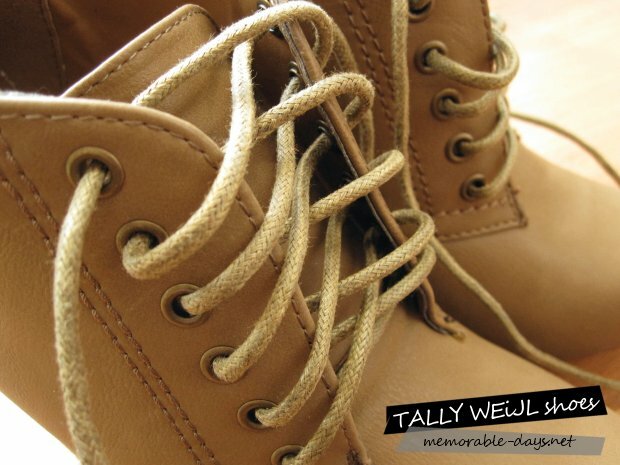 TALLY WEiJL Shoes - Oxford Heels | Memorable Days : Beauty Blog - Korean Beauty, European, American Product Reviews. I finally had the time to go to TALLY WEiJL last week. I haven't been there for two months or so, so I was very excited to visit that store again. I posted about their Fall collection 2011 a few weeks ago, click here if you've missed it. As some of you might know, this lovely company became one of my sponsors hihi ^___^ ♥. They sponsored me a pair of shoes this time and I was able to choose it myself at their store. I chose a pair of oxford heels. I totally fell in love with it while I was at the TALLY WEiJL store ♥_♥! 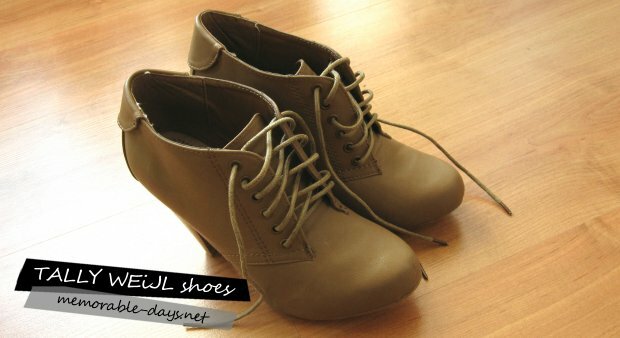 On their website it's called the Lace up high ankle boots. They are €29,95, not expensive at all! What do you think? Looks cute right ^o^?! I will show you some close ups of the heels in this blogpost :). I LOVE OXFORDS!!! Those are so adorable!!! i love these boots amazing! it sucksss that ppl can't see my updates on their dashboard >.<" .. pls follow me through bloglovin' ^o^~! My updates are shown there. Aww wat een schattige schoentjes, echt wat voor jou! gorgeous! il ove the colour of them. i recently bought a pair myself and i've been wearing them none stop. they seem to go with everything! yayy ^^ thank you for following <3 and yesss they seem to match very well with lots of clothing :D i totally love it !